Choir "Note in Crescendo" - Associazione "Le Allegre Note"
The Choir Note in Crescendo was founded in 2004 like an emanation of the children Choir ‘Le Allegre Note’. 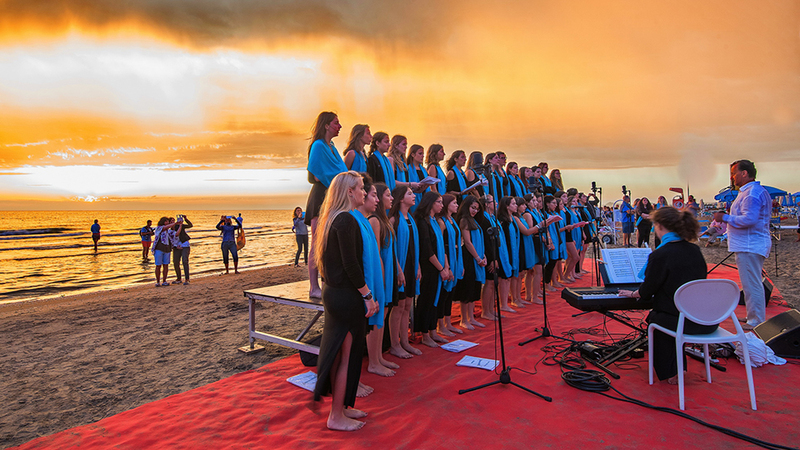 The Choir has already had more than 300 performances in theatres and concert halls throughout Italy, performing also with symphony orchestras and prestigious groups like The Percussionists of Santa Cecilia. The choir participated in ‘Carmina Burana’ by C. Orff in Italy and in TV transmissions. In 2007 the Choir won the First Price in Competition ‘Voci e Cori Città di Riccione’. “Note In Crescendo” held concerts in Berlin, Saint Etiènne, Chotebor (Czech Rep.), Tarnow (ner Krakow, Poland), Locarno and Fribourg in Switzerland, Stokholm and Gotenborg. 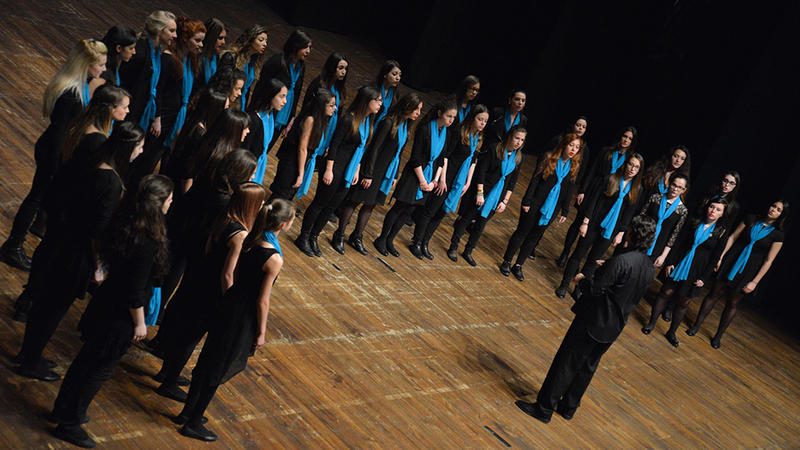 In 2009 the choir won a Bronze Diploma at the International Competition ‘Città di Rimini’, in the category ‘mixed voices’. The youngest members have performed in 2008, in Bologna, the ‘Te Deum’ by H. Berlioz directed by Maestro Claudio Abbado. The concert was broadcasted by the main Italian TV channel, Rai 1. 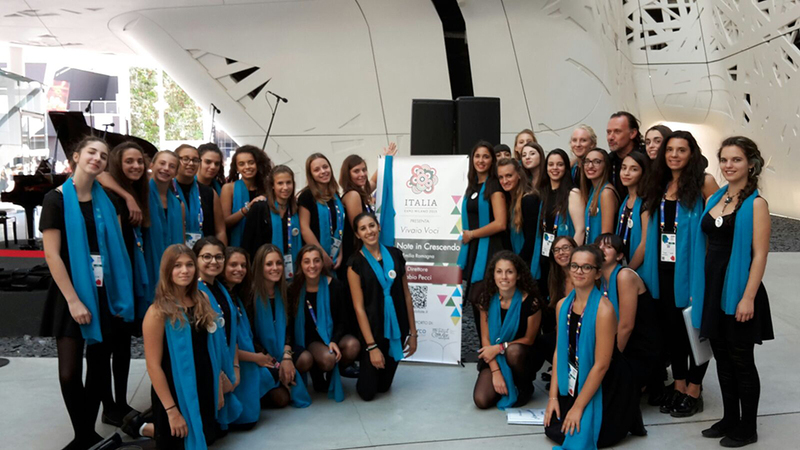 Le Note in Crescendo is nominated to represent the Emilia Romagna region at the choral performance at EXPO 2015 in Milan by FENIARCO, the Italian National Choral Federation. 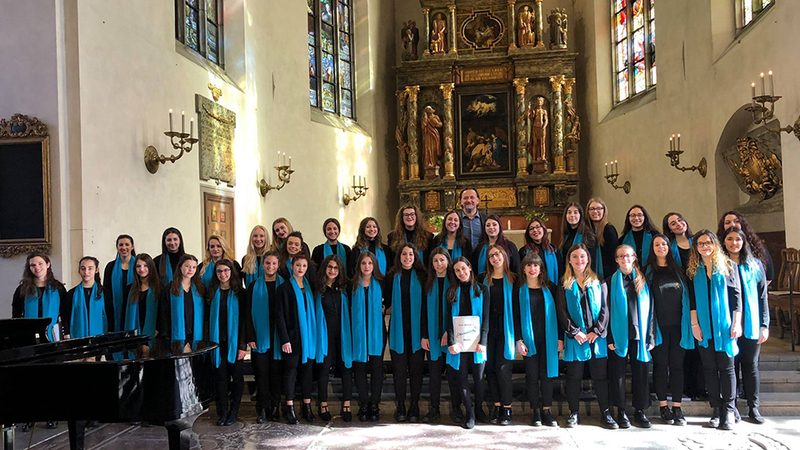 They won Gold Diploma ( also the higest evaluation in the competition) at Queen Of Adriatic Choral Competition in 2015; at the same competition the won also the silver medal at Grand Prix Competition. In 2017 they received the Gold Diploma at 35th Italian National Competition “F. Gaffurio” in Lodi, one of the oldest and famous choral competition in Italy.